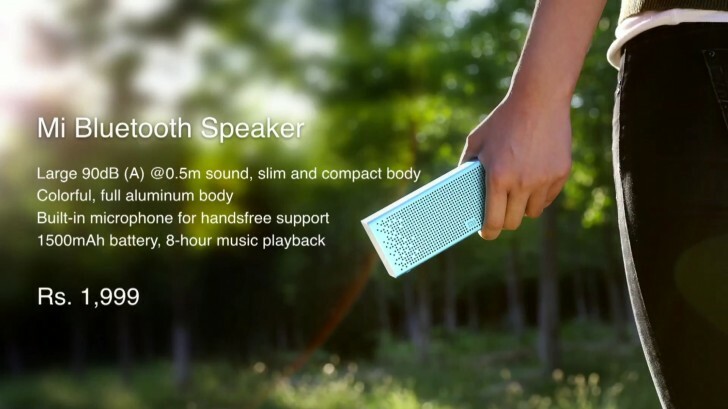 Xiaomi has announced the new Mi Bluetooth speaker for India. The speaker has a compact design with an aluminum body, and comes in a variety of colors. Inside, there are two full range drivers and a passive radiator. There is also a microphone for handsfree calls. The speaker also has a microSD card slot to play music off the card, as well as an aux input. The 1500mAh internal battery has a claimed life of 8 hours on a full charge. The Mi Bluetooth speaker is priced at INR 1,999 ($30), and will be available around March 23.